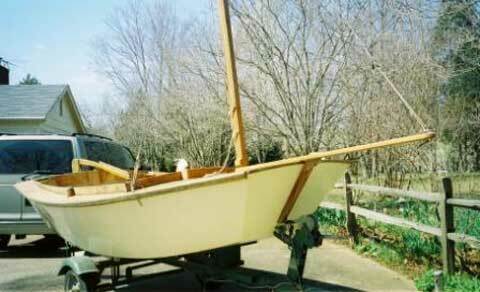 12' Dory/Pram, hull #2330. $1600. Versatile, roomy, and stout camp cruiser/racer, designed by Capt. Wm. 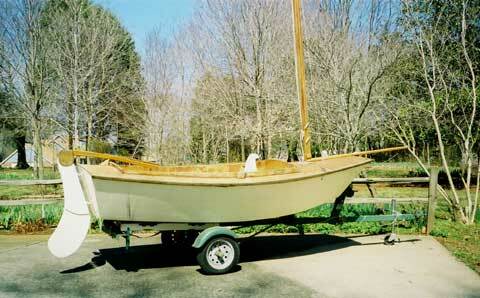 Short and professionally built by Smith Brothers Boat Works in WA state. Sail Area: 105 sq. ft. with 72 sq ft lug-rigged main, 33 sq ft roller furling jib. Marine ply with glass over hull, rudder, centerboard, all refinished. Deck and Interior need repainting. Solid boat. No rot. Trailer with newer shocks, jack wheel, tires and wheels, including spare. The SF Pelican has been sold to a local sailor! I lost a boat and gained a friend in the buyer! Thanks so much for your help!